Following other car in the last sector will also lead to go wider in ascari chicane. Loose DF. They were doing it down the main straight and before the last corner, they left like 3second distance, merc goldenkid russel went 3ths faster than the rest of them. 0.4s, if you combine all the PB sectors. Chances of rain in quali getting increased. Don’t know what to say. If it happens, consecutive 3rd weekend quali in rain. At the same time, everyone predicted fp2 to be wet. But it stayed dry. So unpredictability is high. Atleast for now it looks like a dry race. Hope it stays that way. Hamilton: Mercedes can see deficits to Ferrari. Lewis Hamilton accepts Mercedes is playing catch up to Ferrari at Monza and says the areas his team is weaker compared to its rivals are clear to see. 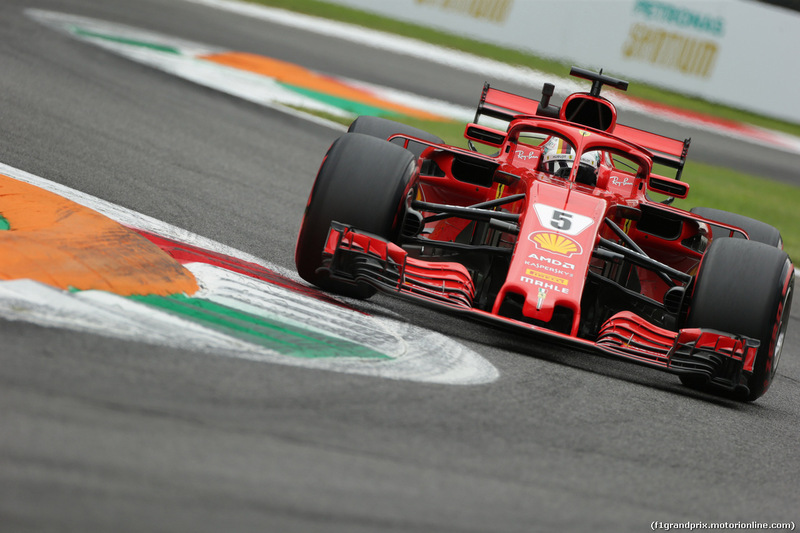 For the majority of the European races Mercedes has placed the favourites tag on Ferrari and Hamilton is certain it remains the case at the Italian team’s home race due to the power-sensitive circuit. 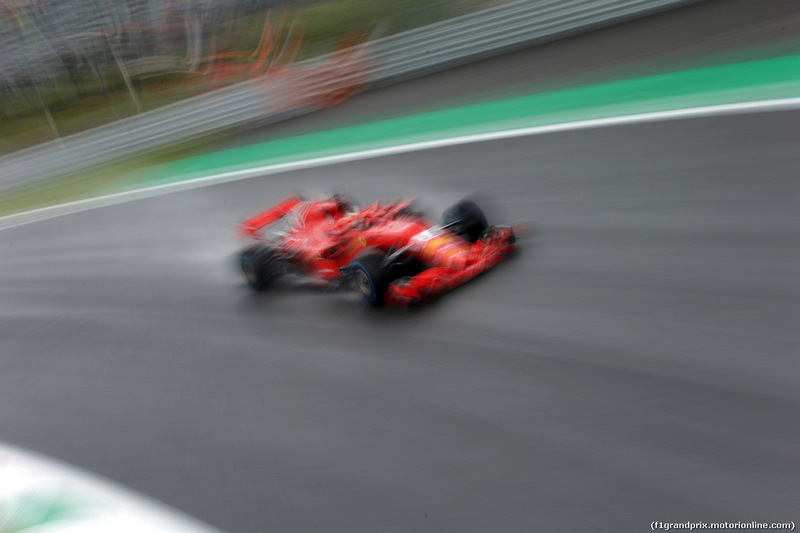 Ferrari duly swept to a 1-2 in the dry FP2 session, having seen the morning session hampered by rain, with Hamilton leading Mercedes’ charge in third place just 0.287s off Sebastian Vettel’s top time. 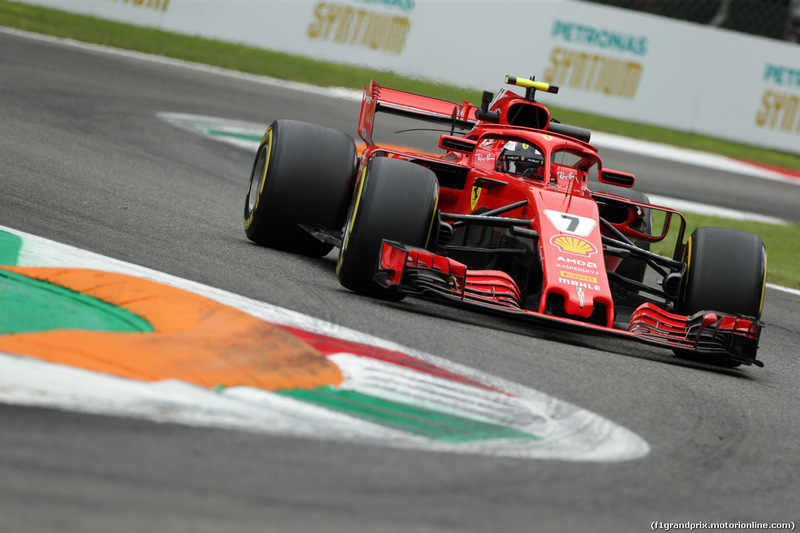 The F1 world championship leader concedes Mercedes is trailing to Ferrari on both qualifying and race pace but ‘can see deficits’ which are believed to be on initial acceleration out of the corners and outright top speed gained from Ferrari's recent power unit updates. “We did plenty of laps this afternoon in the dry and we could see that, like in Spa, we had a small gap to Ferrari on both the short and the long runs. My laps felt pretty good, but Ferrari was a little bit quicker today,” Hamilton said. “We’re all working flat out right now in every part of the team, and we have work to do tonight as well - but there are some areas where we can see deficits, so I hope we can make a little step for qualifying. Bottas has echoed his teammate’s sentiments after ending Friday practice fourth quickest, over four-tenths of a second off Hamilton, but feels noticeable improvements have been found from the Mercedes package since the Belgium Grand Prix to close the gap to Ferrari. 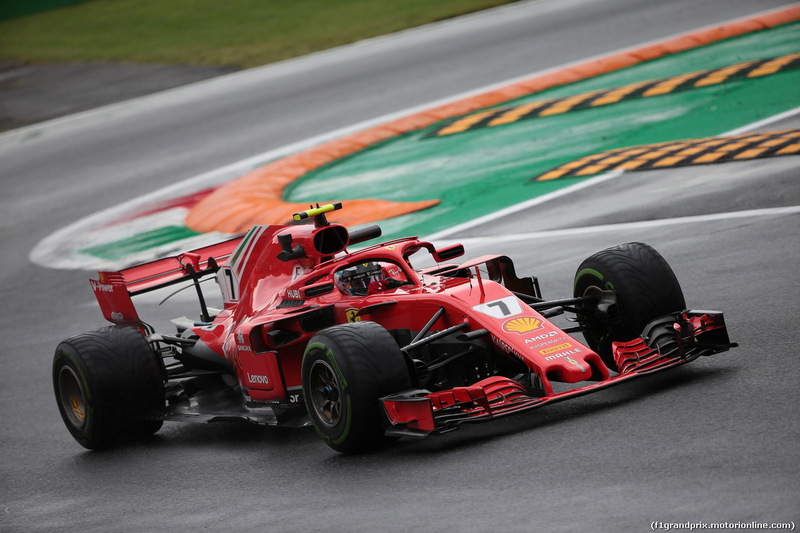 “As expected, Ferrari seemed very quick in the dry,” Bottas said. “It's not going to be easy, but we still have a few things we can improve for qualifying. We are looking good for tomorrow and Sunday? What is the latest weather forecast? If it's wet tomorrow, Hamilton is going to lose out, there is no doubt about it. I guess I must have missed the trolling part because there is no stopping Ferrari here, rain or no rain. You are the one in love with Hamilton as you mention him whenever you post. Me? I would be happy if rapper boy retires, overrated driver driving great cars since debut and always getting titles gifted to him on a plate out of sheer luck. He had the car to do it in 2010 and 2012 but as there was competition, he failed miserably. Saturday forcast looking like this, was pretty accurate in Belgium more or less. reported that seb gained 0.2s on slipstream during the hotlaps, and hamilton gained 0.1s on his lap using slipstream. 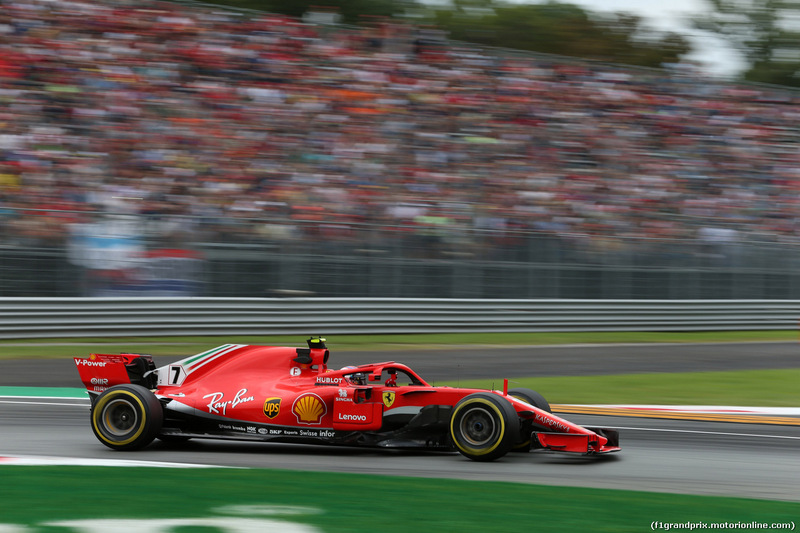 Ferrari much quicker in Lesmo, Mercedes much quicker than ferrari in the slow corners(new aero has improved since this was their weakness in spa). Quali should be wet according to 90% of forecasts, the rain ends just after quali. LOL hopefully wind tonight blows away the rain we don't need ratboy and his voodoo giving mercs a front row lockout thanks to rain again. 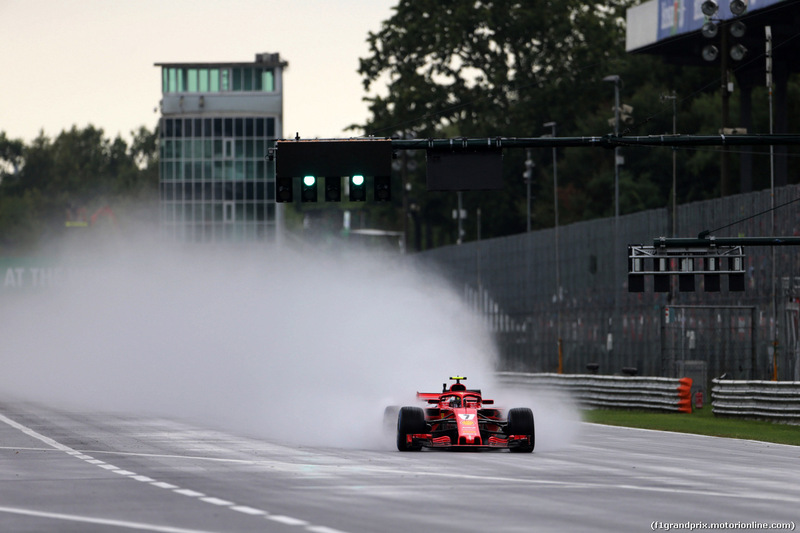 Monza, August 31 – The sun and heat of Thursday gave way to heavy clouds and bursts of rain for the first day of practice at the Autodromo di Monza. 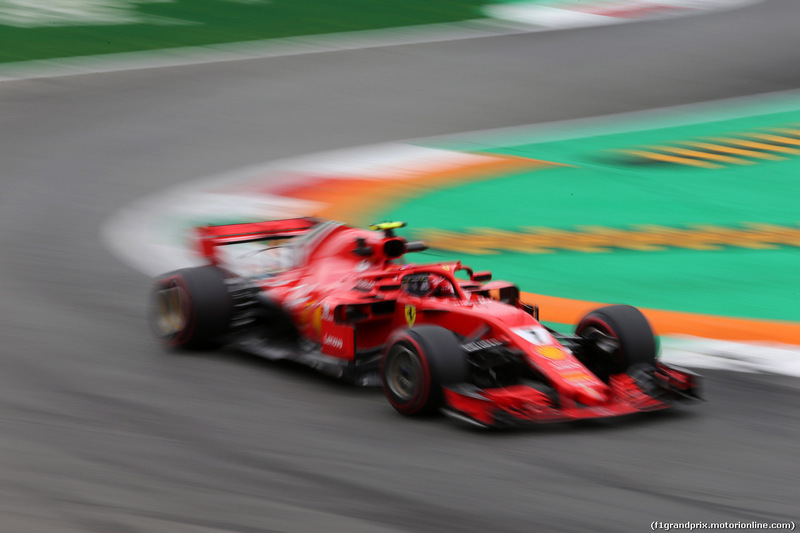 In the first session, Scuderia Ferrari’s Kimi Raikkonen braved the weather to post a total of 28 laps on the Intermediate tyres, while his teammate Sebastian Vettel only managed four laps, before a small issue with his spare gearbox put an end to his session. 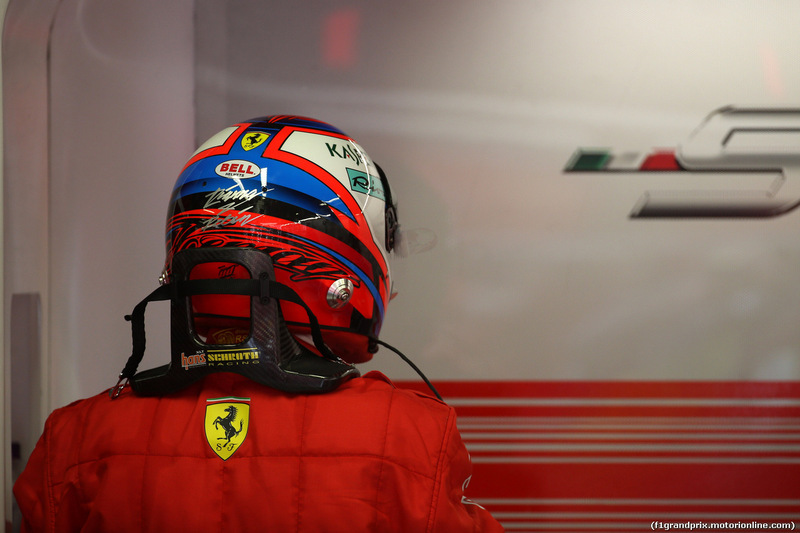 In the afternoon session, though, Seb set the best time ahead of Kimi on a dry track. “Today it’s been a mixed day”, Seb commented “as the morning session didn’t go smoothly, but in the afternoon it got better. The balance of the car is not perfect yet, but I believe we can work on it for tomorrow as the car seems to be working well. This morning we had a little problem with the car; I wanted to run, but we had to check the gearbox first. However, it was good we could run in the afternoon. In P2 I slid off at Parabolica, but I managed to avoid touching the barrier, but I had just one slight nudge and came away with minor damage to the rear wing which had to be replaced. Apart from that, the car was fine. I am not entirely happy yet, but I know we can still improve because our car has big potential. I think we can do better tomorrow as the package is good, so we’ll see. We’ll keep doing our homework”. 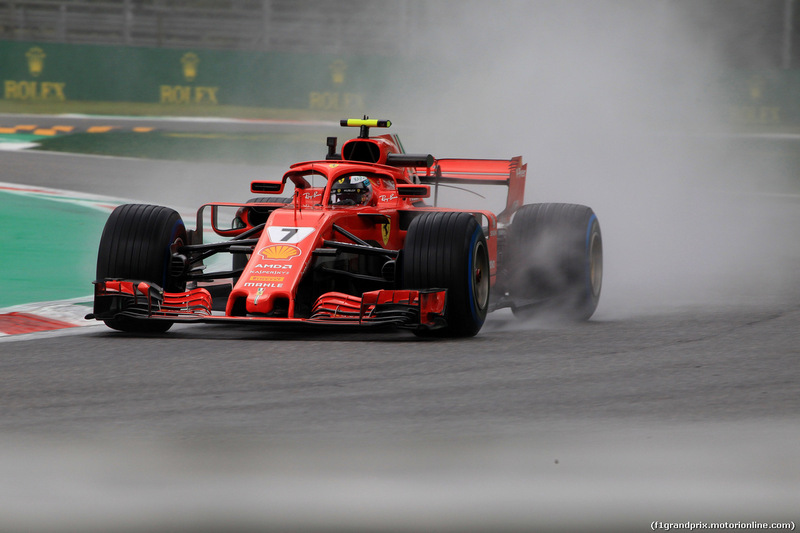 “This morning” Kimi said “the session was held in the wet and we could only do a little running, but in the second practice, track conditions were back to normal. The conditions were the same for everybody, we cannot change the weather; I think that in the end we were quite lucky to have at least one session in the dry. Both compounds were ok, but obviously we did not do much mileage today. We are on yet another different track, so we obviously had some things to fine tune today, but it was not too bad for the first laps . Now we need to go through things and try to improve a bit for tomorrow”. I can't believe Kimi said what I've been thinking all along, the conditions were the same for everybody. I'm in good company! Looks like its gonna be dry for FP3 and quali. Nothing more satisfying than beating the mercs at Monza. It's been too long. Ferrari looking really good for a great weekend, we finally have a car that can qualify at the front and also go on to win the race. The Very latest weather forecasts showing it's going to be dry today and tomorrow. Give a break. Those articles websites do admire mercs team & ham a lot. Motorsport F1, Autosport, F1 technical these are mercs puppets. Now I would ask u one question? Can u just tell me in FP2 dry running on single lap ferrari improving lap after lap even on the lap where vettel spun he had fastest middle sector. Did u see mercs improving or on top of Ferrari ?? Also on race pace, haven’t u watched ham was far away on lap times compared to vettel ?? I have watched it onboard clearly, mercs suffered on SS tyres. With all the above things, how u are judging it’s close. Just by looking at upgrade which they brought ???? This is what u have to change ur view going on. If u don’t see any upgrade from ferrari do u think they r on back foot ?